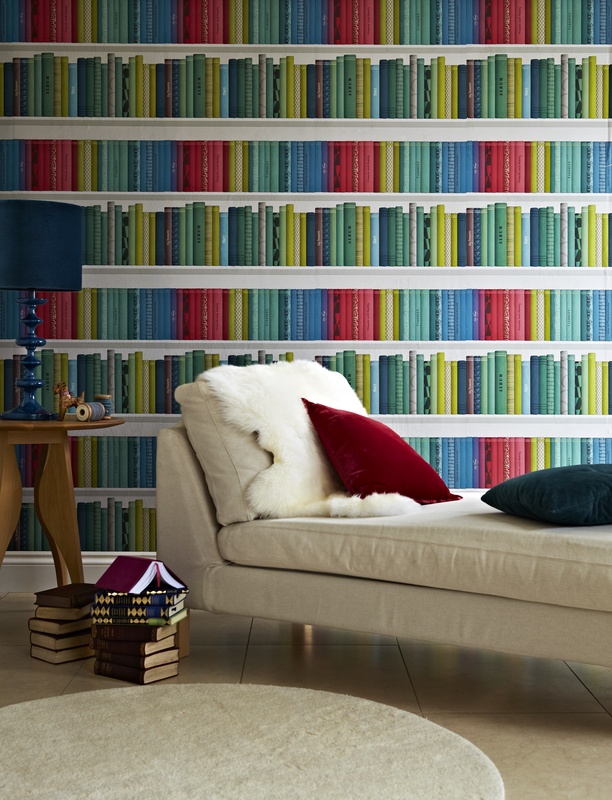 I just love library or book wallpaper and have featured them on the blog before, but usually they’re all pared down, white and simple like this one here. Today though I just had to share this wonderfully colourful design called Marcus which is from the Albany range at Wallpaper Direct. I love that the books are printed on a white background which makes it look less fussy and I love the colour combination. It looks bright and cheery and very inviting. Many book wallpapers can be dark and heavy looking, which is fine in the right setting, but this one has a very sunny, happy feel about it and would look fabulous in lots of rooms in the house. I’d love to see it as a feature wall in my kitchen! Or I think it would look great in a teenager’s bedroom. Of course it lends itself particularly well to a den or study, or the dining room maybe. A place where you can snuggle up on the sofa, with a cuppa and a good book and let the hours slip away whilst you relax. What do you think of this one? Could you see it in your home? Marcus from the Albany collection is available at wallpaper direct and at the time of writing is on sale at just £22.40 per roll. Disclosure: This post contains an affiliate link which means if you click on it and subsequently buy from the website I will earn a small amount.